Not everyone enjoys grocery shopping. Sometimes stores are crowded and it can be frustrating to find the right items you need. Many people dread it actually and would rather pay someone else to do their shopping for them. This demand has created an entirely new flexible income stream. In other words, yes, you can get paid to shop for groceries. Even if you're shopping for yourself, you can get still get paid to get your own groceries thanks to grocery rebate apps. 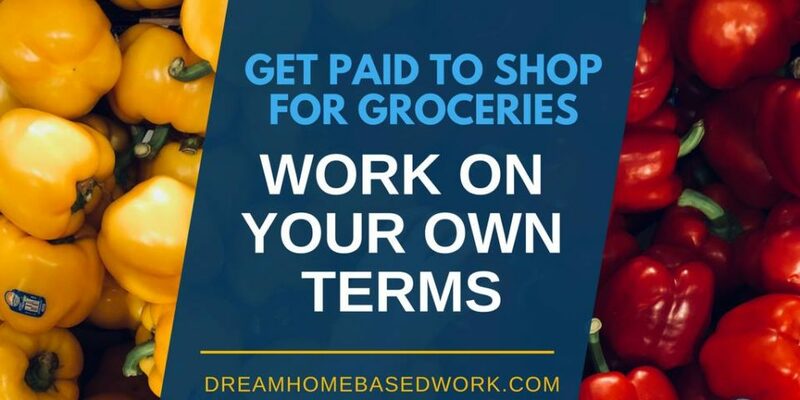 There are many other websites that allow you to get paid to shop for groceries on your own terms and earn a part-time or even full-time income. Here are some of the best options to choose from. Instacart allows people to shop and have items delivered to their door. It's very similar to driving for Uber or UberEats, only you get to deliver other people's groceries instead. Shoppers get paid weekly and can work on peak days to maximize their earnings. There are two types of shoppers. One is a full-service shopper where you work as an independent contractor and must have access to a car to make deliveries. The other is a part-time employee. You don't need a vehicle for this position and would only do the grocery shopping for customers so having a car is not required. Go here to download and sign up for free with Instacart. Ibotta is a grocery rebate app that can be used to earn cash back for your own shopping. Using Ibotta is free and easy. 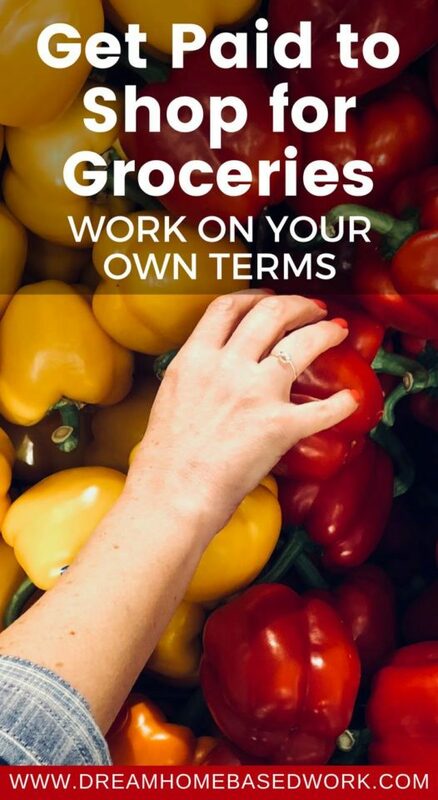 It won't make you rich, but it can help lower your grocery expenses and make some extra cash. Once you download the app and sign up, you can search the apps for rebates for food items in your local area. What I like about Ibotta is that they offer rebates for name brand products and generic store brand products too which is great for your budget. If you’re planning a shopping trip, it’s best to look for items you already planned on purchasing or feel you’ll need anyway. Once you find a worth rebate you want to get, you’ll need to unlock it by completing a simple task on the app. Once you unlock the rebate, go shopping and hold onto your receipt. You’ll need to verify your purchase by submitting a photo of your receipt. After that, it’s time to get paid. Ibotta will deposit the cash into your account within 48 hours of verifying your purchase. Again, your Ibotta earnings can add up to some nice extra cash especially if you do a lot of shopping for your household each week. Go here to sign up and start earning with iBotta. Shipt is a grocery delivery service that is always expanding its team of independent contractors. If you’re looking to get paid to shop for groceries, Shipt could be a great way for you to make good money (about $25 per hour) on your own schedule. As a shopper, you “put yourself” on the shopping schedule up to five days in advance. Putting yourself on the schedule means. Once you're on the schedule, you'll see shopping assignments available via the app. You can accept the ones you want and complete the assignment which involves driving to the store, picking up the selected items, and delivering it to the customer. Shoppers get paid a commission of $5 plus 7.5% of the order amount per each delivery. Go here to sign up and starting earning with Shipt. Peapod: Peapod is a grocery delivery service that operates mainly in the Midwest and Eastern region of the U.S. The company employs drivers in staff positions, offering a benefits package and competitive salary. Delivery drivers start making at least $12.50 per hour. WeGoShop: This company has been around since 1999. This option is geared toward people who are more interested in running their own grocery delivery services. You can set up your own shop so long as you reside in any of the service areas throughout the U.S. or Canada. Owners pay for access to branding, credit-card processing and other back-end business support. Learn more about how to get started here. If you're looking for flexible work and don't mind making deliveries, you might enjoy taking advantage of some of these options that help you get paid to shop for groceries. Just choose the one that sounds best to you and start making money.